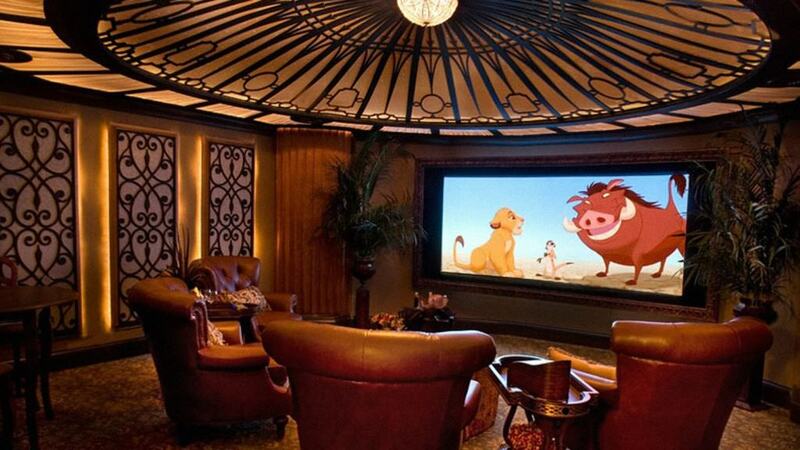 Creating a great mancave has become the dream of many guys that love home theater setups. Standard movie theater setups, or a bar-like atmosphere has become a common trend. 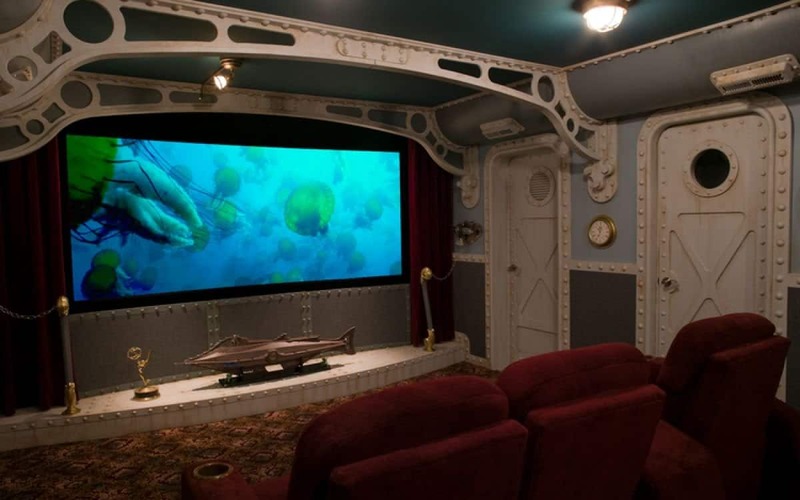 However, there have been people and companies that upped their budget and created some of these massive and amazing home theaters themed after famous movies and events. 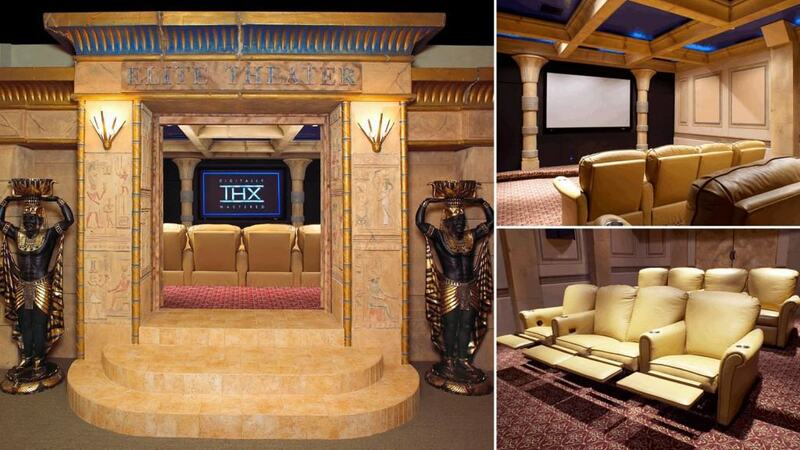 Wanting to go all the way with your home theater system? Take a look at some of these amazing setups and gather some ideas. This would have made all the Ancient Egyptian gods jealous. The golden recliners all equipped with cup holders makes it an even better experience than in movie theaters. 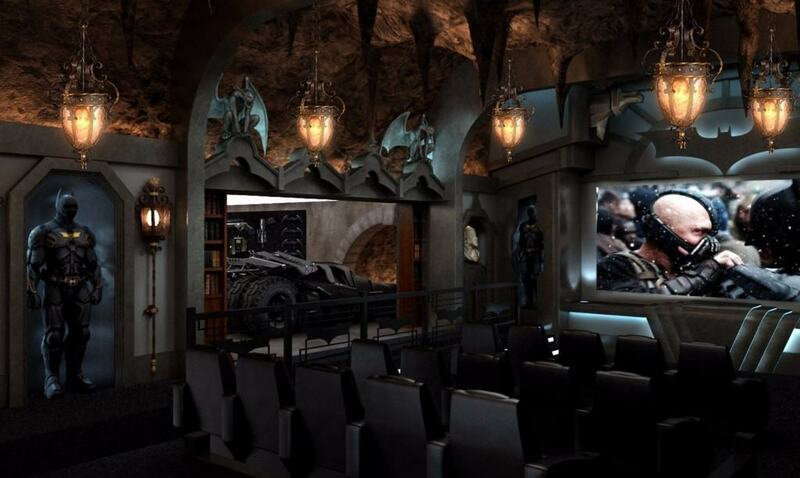 You won’t have to dim the lights in this dark atmosphere of Batman’s home. The figure of the superhero and the Batmobile are a unique touch. Based off of the classic 1954 movie from Disney, this place will really make you feel like you’re going deep into the sea. Hunting for narwhals hasn’t been any better! It may have been an ill-fated voyage, but you can’t dismiss how beautiful the big ship was. We think they missed a golden opportunity showing the 1997 hit movie, but there’s nothing wrong with The Lion King. 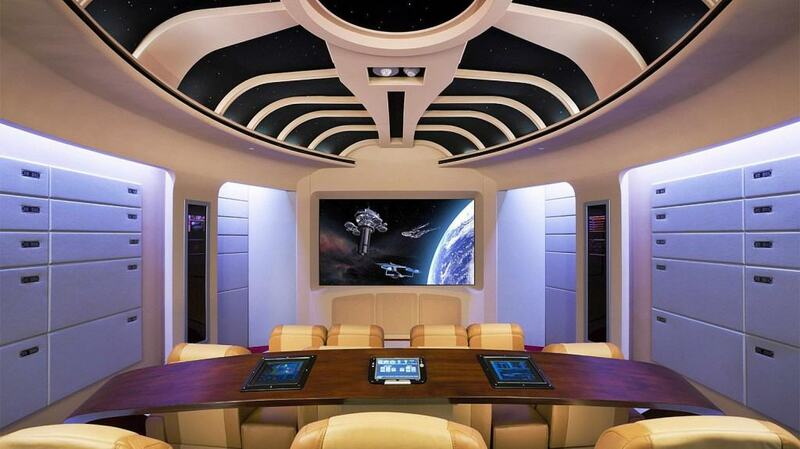 This incredible setup has a striking resemblance to the main control room of the Starship Enterprise. Hopefully the outfits are included. There are many iterations of the popular sci-fi movie. 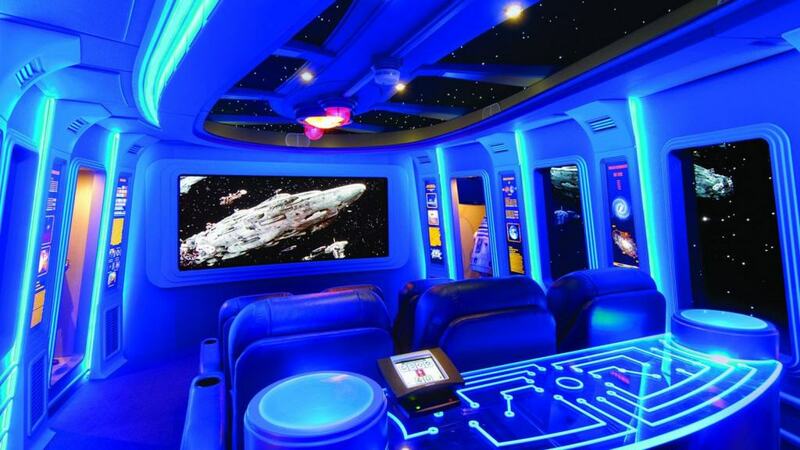 Here’s one of the better one that features a full-fledged spaceship theme with leather reclining chairs and an R2-D2. Another alternative in the Star Wars universe is the Dark Side’s home base. As evil as they may be, it’s hard to disapprove of this breathtaking display. 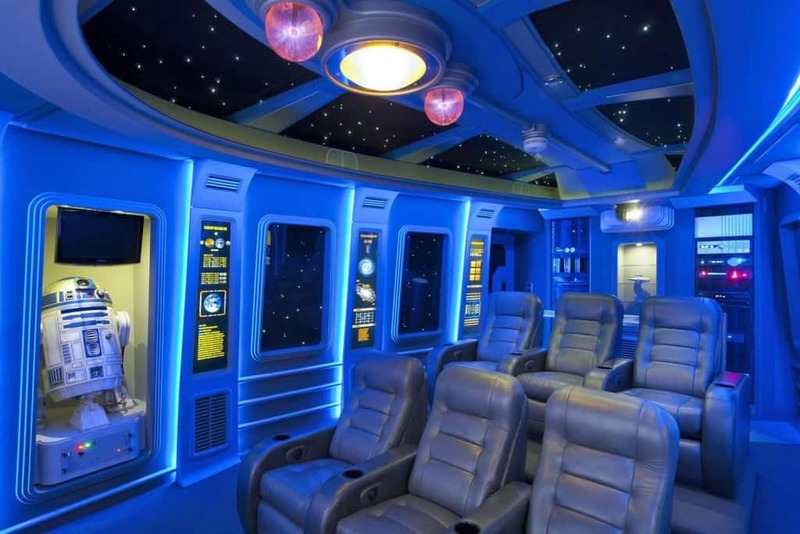 Here’s another take on the Starship Enterprise in Star Trek. This control room is a little bit more opened up with stylized seats. Another idea for all the screens behind them — it’s a good way to keep up with multiple sporting events. 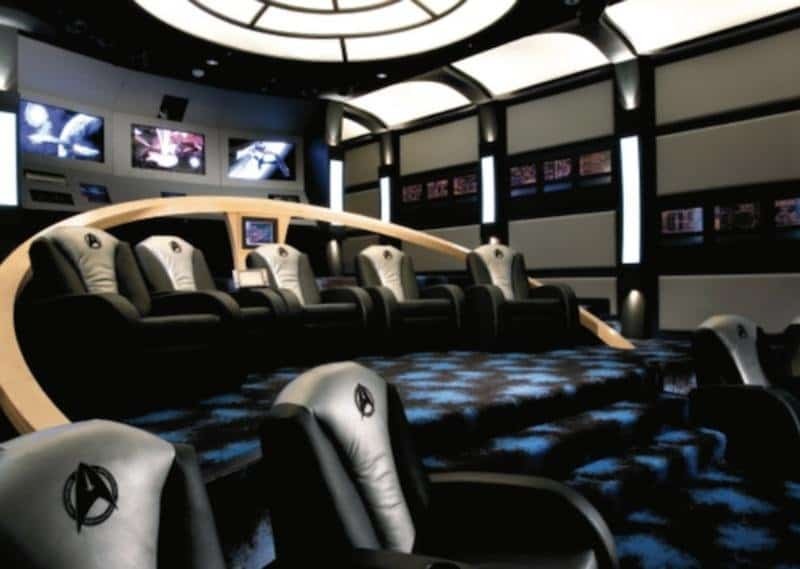 Another Star Wars home theater enters our list simply due to the simplicity and aesthetics this one has. 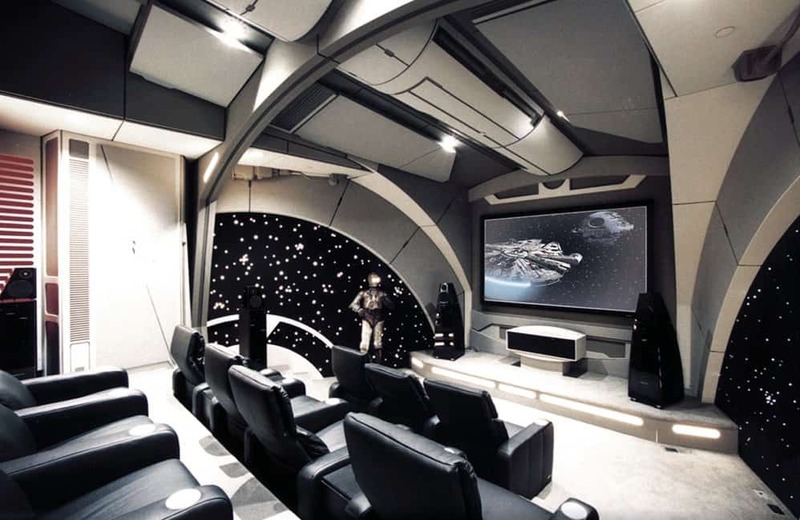 From the C-3PO and R2-D2 encased in the world, to the outer-space like experience, there’s no doubt that you’d want to watch a movie in here. This $6 million setup was professionally built. 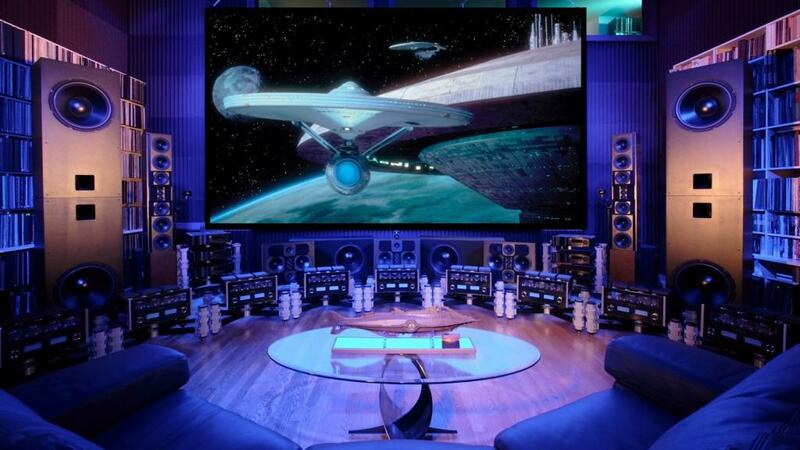 We dare you to find another home theater setup that has as many speakers as this.